Conventional wisdom suggests the longer it takes to finish a game, the better—especially RPGs. We even have websites, such as How Long to Beat, tasked with cataloging the length of games. 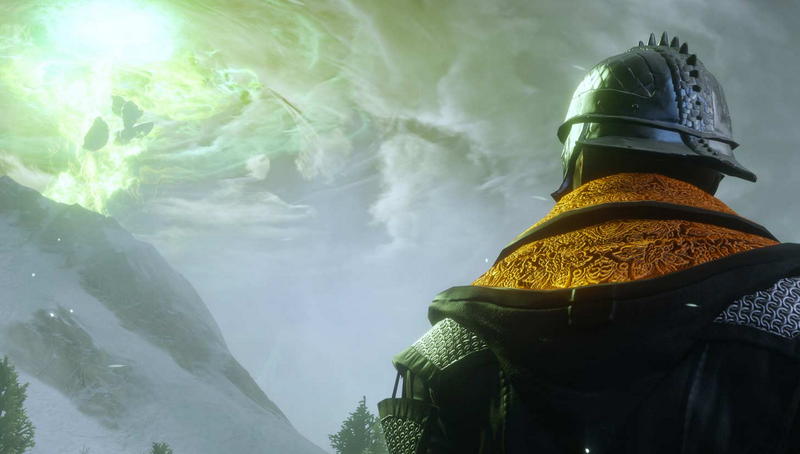 The clock on my just-finished Dragon Age: Inquisition save reads 64 hours and four minutes. How come, then, after so many hours with Inquisition, I feel so empty, and glad it's all over? Sixty-four hours accounts for more than two full days of my life. That's...a lot. Honestly, though, it felt like far longer, since I started in November. Inquisition often felt as though it would never end. It wasn't until I decided to ignore the nearly endless side missions that I was able to see the credits roll, quickly realizing so much of what's scattered in Thedas often amounts to busywork. I'm not the first person on Kotaku to talk about Inquisition's filler problem, either. As I've gotten older and personal responsibilities mount up, I have less time to spend with my favorite hobby. It means I've come to value shorter, efficient experiences. But I'll still make time for sprawling games requiring dozen of hours to complete, as was the case here. Whenever Bethesda decides to ship another Fallout or Elder Scrolls game, sign me up. But I have less tolerance for games without a deep respect for the time I put into them, and Inquisition didn't. I'd often spend whole afternoons with Inquisition and feel as if no progress was made. Despite all my time in Thedas, it seems like I barely got to know my companions. Their quests were over in the blink of an eye, and few were as revealing as, say, the truth of Dorian's past. It seems so odd to have invested so much and come away knowing so little, but it accurately reflects the game's prioritization of content as king. Not all content is made equal, however. In the first 20 hours, I read every codex entry, and soaked in the world around me. In the next 40 hours or so, I was skipping through dialogue after reading the subtitles, closing codex entries as soon as they appeared on the screen, and pulling up walkthroughs to see how much of the game was left. The world of Dragon Age is fantastic, a politically-charged land of endless class and historical warfare. Unfortunately, its desire to pad out the experience dulls its premise. If one squints, it's easy to imagine Inquisition as an MMO. The quest design is eerily similar. MMOs are time sinks, and it's why I haven't bothered with them. But I understand their appeal. MMOs serve as terrific venues to spend time with people. It's a glorified chat room. Storytelling and handcrafted content are sacrificed for the enhanced social experience. Recently at Giant Bomb, I wrote about how the MMO-ification of video games was beginning to blur the lines between single-player and multiplayer. If you're a fan of single-player, the trends are worrying. "In Halo, it's a great singleplayer experience greatly complimented by its co-op and multiplayer. It doesn't feel like one is sacrificed for the other. In Destiny, it's a great multiplayer experience that just so happens to include a single player experience, even it's not really recommended." Inquisition is not an MMO. It's MMO-like content without the benefit of hanging with friends. It'd be easy to point the finger at Inquisition's interface inefficiencies, too. Who wants to spend an hour in that confusing crafting interface? How come I have to travel back to my war table to assign new missions to my comrades? Why isn't someone from the Inquisition gathering herbs and metals for me? This is a world with magic and dragons, a world in which I'm a Jesus-like hero, but most of my time is spent doing grunt work. Picking flowers doesn't feel very heroic. Flowers, rocks, and other materials are integral to creating the best weapons in Inquisition. It's basically required. In last year's Middle-earth: Shadow of Mordor, it's more or less a collectible. Yes, it feeds into the upgrade system, but once the player becomes all-powerful, the incentive disappears. Despite this, I spent many hours roaming the landscapes of Mordor in search of more plants to collect. How come? The game makes it easy. When there's a plant nearby, the game gives me a friendly alert, and lets me know where it is, and I don't have to wait several seconds for my character to finish plucking it from the ground. Quick, easy, efficient. The desire to fill up a game's landscapes is understandable, but it must also be enjoyable to find it all, too. Don't get me started on the Assassin's Creed games. There's much to "do" in Inquisition, but how much of it is meaningful? Sorry to point fingers, but how much are we to blame? Given how we talk about games, how much weight we put on length being a determination of quality, aren't we encouraging this behavior? We expect an RPG to be dozens, if not hundreds, of hours long, but are the hours well-spent? If BioWare announced the next Mass Effect would be only be 20 hours long, people would riot. But if it meant 20 hours of consequential character development, I'll happily sacrifice the extra time. Hey, games are expensive. $60 is nothing to sniff at. We use time as a measuring stick because burning $60 isn't an option for most of us. I'd argue wasting two days of our lives isn't great, but I see where people are coming from. A long story doesn't have to be bad, but length isn't objectively good, either. Games like Inquisition need to find a better balance between the two. What’s the strongest 3-episode run on a TV show?